Updating a sink with a Pegasus faucet, known for their fine quality, will add a luxurious look to a bathroom or kitchen. Installing a Pegasus faucet can be done by the homeowner, saving money that would otherwise be spent hiring a plumber. With the right tools and a little preparation the job should not take more than an hour even for a novice. A new Pegasus faucet can add style to an old sink. Turn off the water supply to the faucet by turning the shut-offs under the sink all the way to the right. If there are no shut-offs under the sink, the main water shut-off for the entire house will have to be turned off. Remove the old faucet by first using the adjustable wrench to unscrew the water supply lines from the shut-offs or the water pipe and from the faucet stems. Unscrew the nuts on the faucet stems under the sink by using the basin wrench. Remove the old faucet and clean the area with mineral spirits and an old rag. Roll the plumber's putty into a long enough piece to go around the entire base of the new faucet. If the new faucet has separate pieces, place plumber's putty around the base of each piece. Put the new faucet in place making sure it is straight. Fasten the nuts onto the faucet stems underneath the sink with the basin wrench. 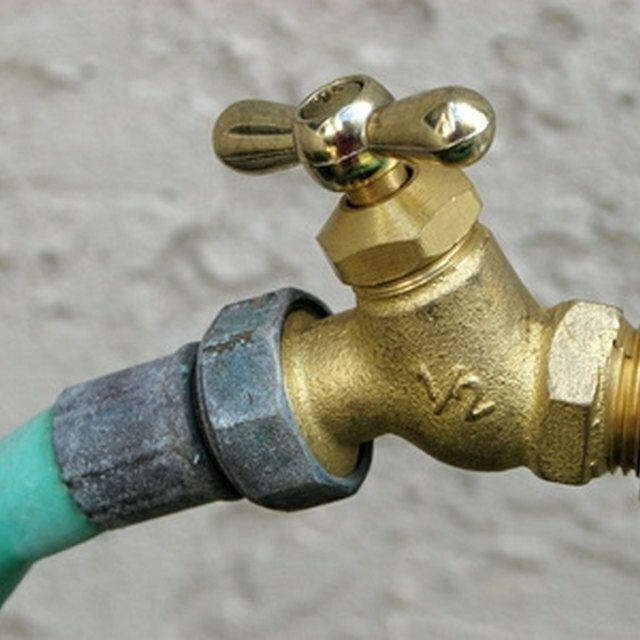 Attach the new water supply lines to the ends of the faucet stems and to the shut-offs or, if no shut-offs, to the water pipes. Do not overtighten. Turn on the water. If there are any drips, tighten the nut where the drip is coming from a little at a time until the drip stops.